Kelly Dawson Author: Lee Savino's New Book is here!! Lee Savino's New Book is here!! 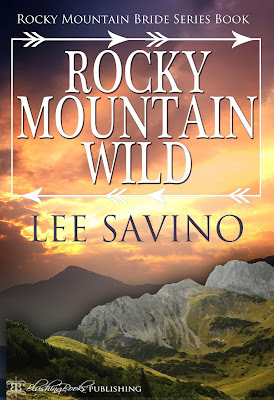 I have to admit to being a huge fan of Lee Savino's Rocky Mountain Bride series and I can't wait to read this one, book 6: Rocky Mountain Wild! He crossed his arms over his great chest in a menacing pose, but there was a smile lurking in the corner of his mouth. Her breath came in pants as she stared up at him. She’d poked the bear, and now she’d just have to face the consequences. If only he didn’t look so pleased about it. Reaching down, he took her hand and pulled her close to him. “Naughty Phoebe’s get their bottoms punished inside and out,” he repeated what seemed to be his favorite phrase. His big hands cupped her bottom and kneaded the two fleshy globes. Despite herself, she leaned against him and moaned at the sensation. His touch on her bottom seemed to go straight to her cunny, which clenched expectantly. She pressed her face to his chest, not wanting to answer. A few weeks ago, she couldn’t have imagined being touched so intimately, especially not by a big, handsome Scot who cooed her name as he stroked her skin. And now his fingers bit into the crevice of her bottom and she was quivering inside; he had trained her well.